The Keep New Zealand Beautiful organisation is planning a complete week of activities, more here. Everyone can do their bit by ensuring their front yards are tidy. If that fence needs maintenance, why not do it. Why not think of a space where an attractive plant, native or otherwise, would make a difference? We noticed a lot of mailboxes during the February campaign that looked decrepit — if your one can be described as such, why not replace it? …and signed by the Mayor. 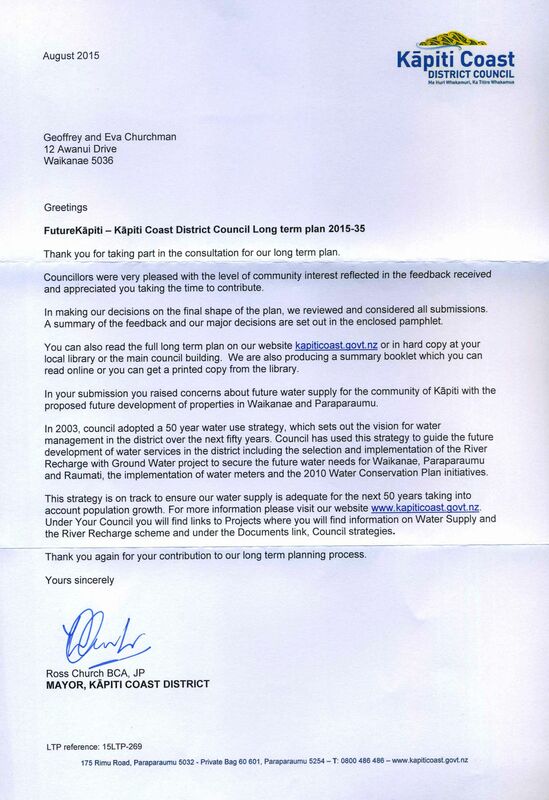 Our submission ran to 4 pages but, despite being told earlier that everything would be responded to, the only issue that is covered here is that of building a dam on the Waikanae River to create a water reservoir for the needs of most of the District in the dry months of January to March. In essence, they’re not going to do it because, “In 2003 council adopted a 50 year water use strategy which sets out the vision for water management”. The letter goes on to effectively state that the council decided that instead of a dam it would go with the river recharge project. Ah, well, yes, 10 years later in November 2013. The lie as to the claim that ‘We’ll reduce water consumption by charging you for it’ was revealed a couple of months ago when it was stated that because people have since used less, the council is increasing the rate charged so that the revenue remains the same. In other words, it was really all about revenue raising. We totally disagree that there is any evidence that the recharge scheme will be sufficient for the next 50 years. You may well wonder whether there is any point in making submissions to government bodies when they are just going to be ignored. Are councilors just rubber stamps for decisions made by bureaucrats? Isn’t it the role of elected councilors to decide these things? As we’ve seen, the boss bureaucrat, Mr Pat Dougherty (the local Sir Humphrey Appleby of Yes, Minister), and Mayor Church decide what councilors are told and not told. Mr Dougherty’s reappointment in May was handled undemocratically as this article explains. In all then, shenanigans, but it’s important to remember that the bigger councils get, the worse it gets, and under the dormant (not extinct) ‘super-city’ notion, the autocracy would be much worse. Probably about the size of Mahara Place. 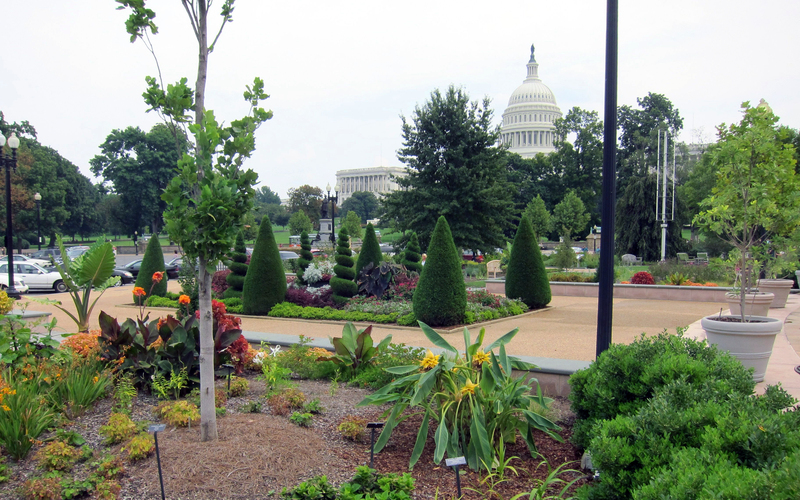 The building in the background will make it obvious where the photo was taken; yes, Washington D.C. It only requires a little imagination to achieve a result like this, not a whole lot of money. More ideas for you Destination Waikanae and WCB members. Rule no. 1 — don’t leave it to the property developers. This is an English production, but the principles are universal. 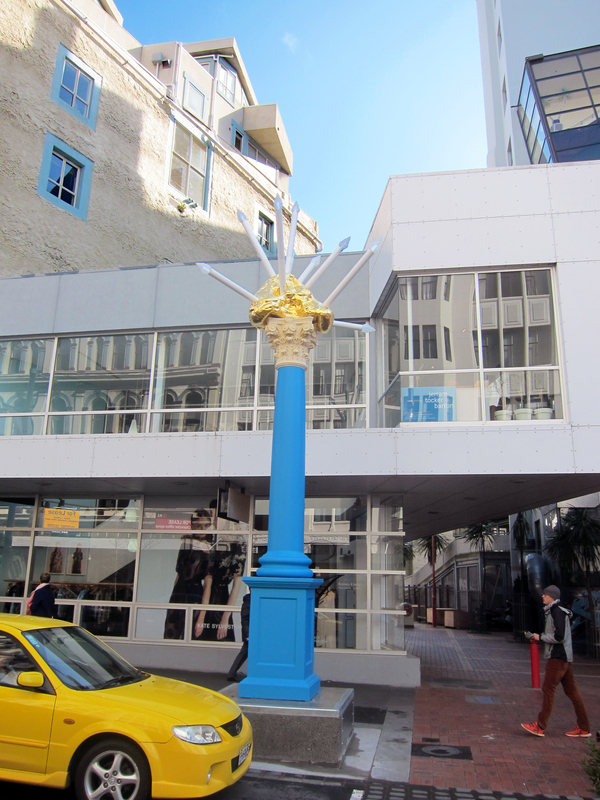 The pic is of a new sculpture, The Philanthropist’s Stone, opened earlier this month in Cuba Street, opposite the street carpet (see earlier). We think it is supposed to be a gold nugget with candles stuck into it. The colour of the column isn’t what we would have chosen, but the point is that Wellington has a lot of sculptures, however, Waikanae has none. Something representational and appropriate to the history of the town would be a good idea, perhaps a Maori waka (canoe). 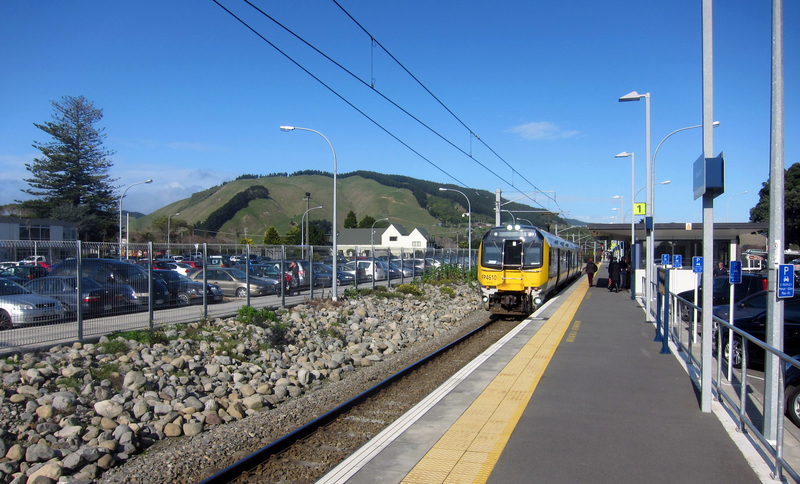 Another proposal for you, Destination Waikanae and WCB members. The “rockery” at the Waikanae Station is starting to look greener. They are just weeds, but weeds aren’t necessarily unattractive — it depends on what they are. The Keep New Zealand Beautiful organisation has given its Most Beautiful Large Town (5,000 – 20,000 residents) award for this year to Waikanae. Local resident Norma McCallum, who has been the mainstay of Keep Waikanae Beautiful, entered Waikanae in the Beautiful Towns and Cities Award spending weeks putting together a portfolio of everything that makes our town special, and she heard on Thursday afternoon that Waikanae had won! Norma was awarded the Queen’s Service Medal for Services to the Community in June. The award reflects the passion that many Waikanae citizens have for gardening, and the many large leafy trees in the town. They received a slap in the face with the Dougherty & Rowan water meters, but most won’t let that deter them. Of course, there are several parts of the town that are council land/property, and Norma has urged the WCB members for several years to improve them, with limited success. We added our voice to hers in the two by-election campaigns this year, and the result was the planting of the southern entrance to the town, as detailed in an earlier post. But there are several more places where action is still needed, some of which have been the subject of earlier posts on here. We can relate to this. 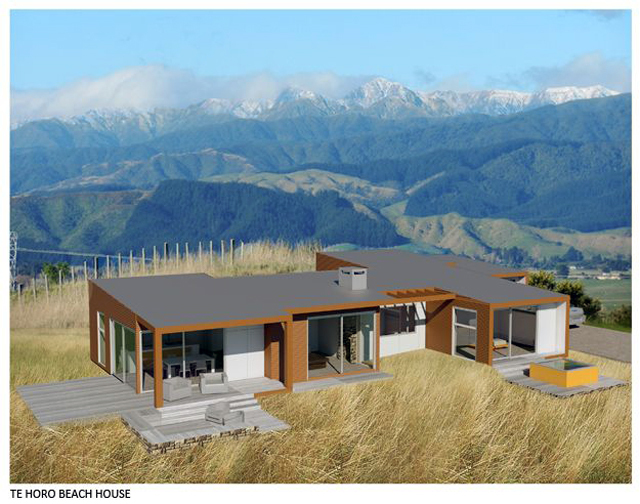 We stumbled upon this website of a Paraparaumu architectural firm which has several project photos in the Kapiti district and elsewhere — the one above is clearly a computer generated 3-d design imposed on a real photo, but wow, look at those snow capped Tararua Ranges! Te Horo is about 8 km north of Waikanae. A big pohutukawa tree on the Main Road. Pohutukawa is known as the ‘NZ Christmas tree’ as it flowers in December, and some trees become a mass of red blooms. According to an article in today’s issue of the Kapiti News, blanket protection rules for native trees are going on 4 September, and instead only about 1,300 trees on 400 properties will be specifically protected, rather than the over 10,600 covered now. The rules up till now have covered naturally occurring trees not introduced by people, which means that if someone at some stage had planted a native tree from somewhere outside of Kapiti, then it wasn’t covered. The problem was of course that proving that wasn’t always easy, as birds can fly long distances and drop the seeds in their excrement. Where we are, Kowhai, Pseudopanax crassifolius (lancewood), Cordyline australis (cabbage tree) and Puriri propagate readily that way. The first three have been covered, but not the last. 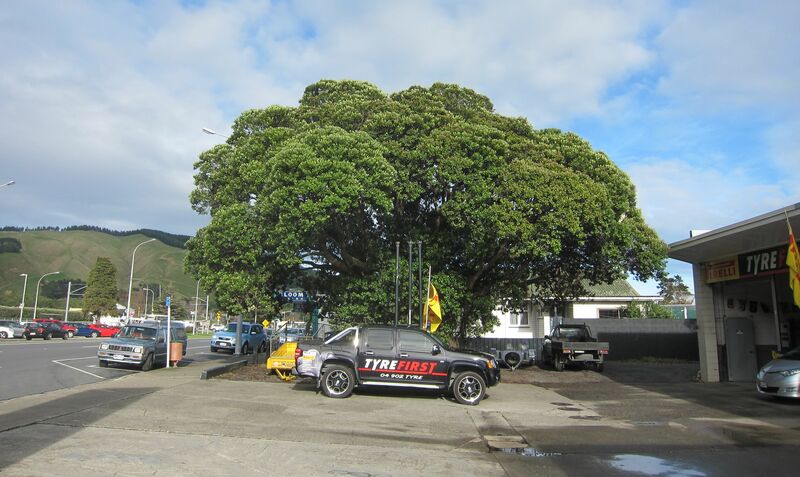 If you wanted to modify protected trees (apart from things like removing dead limbs, obstructions to gutters etc) that are over 4 metres in height and 95 cm in girth, then you needed a Resource Consent. 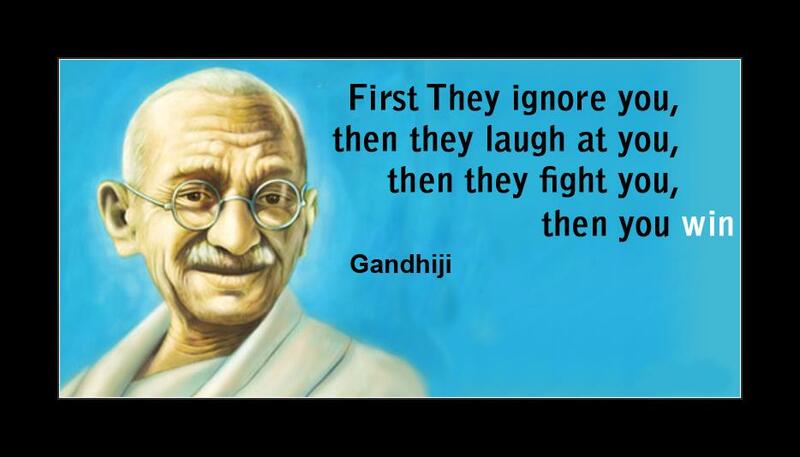 Will property developers in Kapiti take this to mean they can now destroy native flora at will? We hope not — the council needs to make clear to people like him what they can and cannot do. There also needs to be promotion to increase awareness of the importance of native trees and native birds in the whole community. The deputy mayor of Auburn, Salim Mehajer, is a 29 year old mega-rich property developer who drives a Koenigsegg worth $2 million, the most expensive car in Australia. His father Mohamad Mehajer is also a property developer who has served part of a 3½ year sentence imposed in December 2013 for conspiring to cheat and defraud the National Australia Bank of more than $3 million. 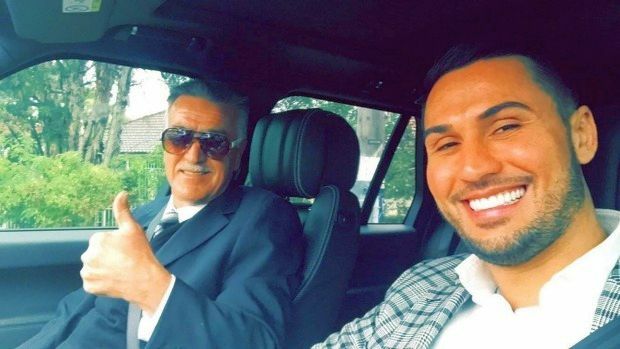 The court found a Mehajer loan application included false documents intended to present his financial position as “much rosier than it really was”. It came to light as part of a police investigation into a $150 million fraud linked to the murder of businessman Michael McGurk, people-smuggling and false passports. Mehajer Snr was released six weeks ago. One of his first acts of freedom was to play a role in a lavish prenuptial video celebrating his son’s approaching marriage. Last Saturday Mehajer Jnr married in their buffed brand new home. It stopped both traffic in Lidcombe and the nation. Francis Street was blocked by Rolls Royces, Ferraris, Lamborghinis, herds of bikies and spectators while four helicopters carrying the groom and guests descended on a nearby park to add to the mayhem. The huge residential property developments occurring in Waikanae is an issue that we campaigned about in the council by-election when we stated that the character of the community, orderliness and not least native flora and fauna are more important than the profits of property developers who, as in this example, are not averse to illegal and immoral practices. The other question is, how did someone like this get elected in the first place? Unfortunately this answer is also easy: personalities are usually more important than policies, even at the local level.